This is part three of our three-part series on weather at an outdoor wedding in West Texas. You know the old saying, “If you don’t like the West Texas weather, just wait a minute, it will change” is really true. This was totally apparent in one of our recent outdoor weddings near Clovis. We had 60 mile per hour winds, then rain and by mid-afternoon, the sun was shining and the skies were clear. The best thing to do is to be as prepared as possible, and just roll with it. We have included a list of things to help you handle what Mother Nature may throw your way at an outdoor wedding in West Texas. In this three-part series, we cover wind, seasons, decor, and so much more. Stay tuned for tips on having a great outdoor wedding in West Texas. 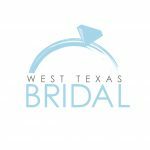 This week’s tips are about creating a comfortable environment, decor, and the unexpected at your West Texas outdoor wedding. If you are using a barn or other alternative wedding venue in West Texas, make sure it is heated and cooled. Barns make such a beautiful setting for a wedding or reception, but when you get 100 plus people in any enclosed area, the temperature rises very quickly. Most brides that choose an outdoor venue in West Texas, do so because it is already so beautiful. Don’t forget to add some season-appropriate decorations to make it unique to you. Of course, you want to choose wisely for the specific time of year and weather. Again, keep in mind our West Texas wind and heat. Delicate flowers don’t hold up very well outside for long periods of time. Keep them watered and in the shade if possible. Last but certainly not least, “Just Roll with it” don’t get to worked up, if every little plan doesn’t work out. If rain pops up, get umbrellas and just remember that your pictures will be so fun and the clouds are a great filter. If wind hits with a vengeance hold onto your hair and skirt and laugh it off. At the end of the day, you are marrying this wonderful person and you get to spend the rest of your life together. Don’t sweat the small stuff!! Have fun and love each other for the rest of your life.